NEWS – I’m very fortunate that I don’t suffer from hearing loss requiring the need to wear hearing aids like millions of people do. I had no idea that hearing aids were so expensive. I’m talking upwards of $6000 expensive! That’s a lot of money to pay so you can hear clearly in a variety of situations. What do you do if you’re not covered by Medicare or other insurance policies? 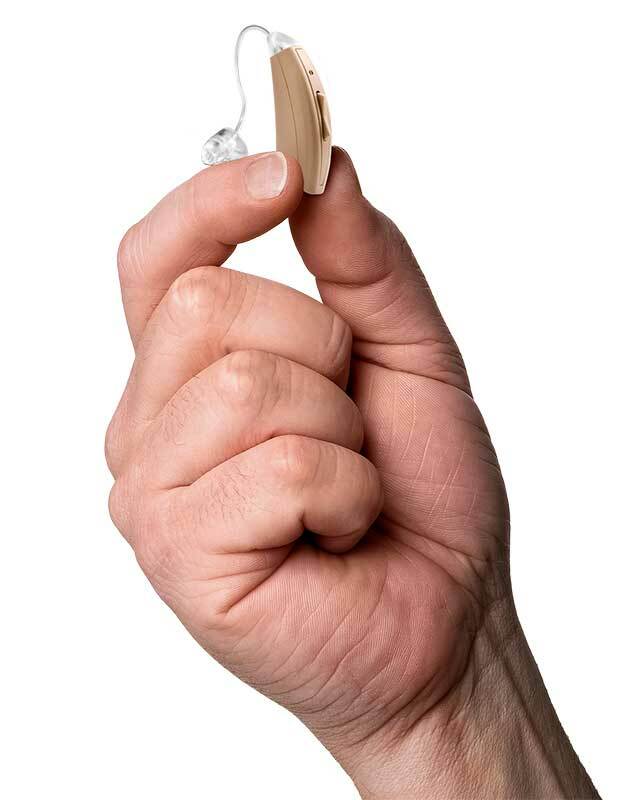 Is there a less expensive solution that doesn’t even require that you go to a hearing specialist to fine tune the hearing aids to your particular type of hearing impairment? 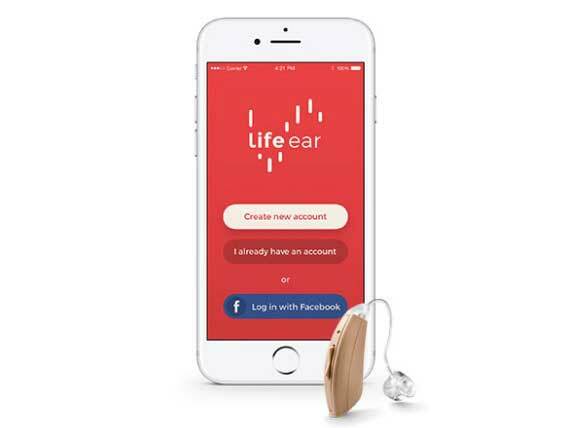 The new LifeEar CORE is a $799 hearing aid ($1599 per pair) that is the first mass-market hearing aid that can be both programmed and fine-tuned with a mobile app with no appointment needed. Designed for people with mild to moderately-severe loss, users can use their smartphones and an iOS or Android app to create a personal hearing profile based on their ability to hear a series of tones and using a National Acoustic Laboratories algorithm that considers the hearing profile as well as the user’s age and gender. The app will also allow the user to customize special programs to be used in different situations like a noisy restaurant or a quiet setting by changing noise reduction, sound directionality, and amplification of different frequencies for each program individually. This is really just a report, not a review. I think it doesn’t add anything to Gadgeteer to include little reports like this, especially since a hearing aid isn’t really a new gadget. Those of us old folks who might be in the market for hearing aids would be better off googling around the subject. Sue, this is clearly marked as a news post and is not supposed to be a review. We post news about products to bring them to people’s attention. They offer only a 90 warranty on their aids. They don’t seem particularly customer focused. Perhaps the price dictates the warranty and customer support. If you buy a pair you will a free protection plan. We designed our app in a way that it is simple and most users are able to get up and running without any help. For those that do need help or just have questions, we have our trained customer support agents available. I can’t find any information about the aids specifications unlike every other aid that I have looked into. What type of specs are you looking for? Battery life and size are easy to find. Would very technical details help such as that it has adaptive dual directional microphones. The number of channels and bands mean different things to different manufacturers and it gets complicated and hard to compare on the very technical specs. Sorry, I slid past the fact that it was news. Is there a way to filter just the reviews? Thanks. Yes, you can click the Reviews heading in the black menu bar at the top of every page and then click All Reviews. I actually bought two during the original campaign, and they were just delivered. I don’t have severe hearing loss, but playing in orchestras and rock bands has dome some damage. I haven’t givien them a real workout yet, but did set up and tune one yesterday. I need to try it at night in the LR while my partner watches BBC mysteries, as at the volume she uses I miss a lot of the dialog. Betty, let us know what you think. Hearing aids are NOT covered by Medicare. I wish they were because it would certainly save me money. Three years ago I had to purchase new aids for both hears and I paid about $5400 — not cheap when you’re on a fixed income. And they don’t last, either, no matter how well-made. I’ve twice in my life gotten the expensive ($5000/$6000) in-canal version; they last about four to five years and then the trouble starts, even with regular cleaning and care. You are absolutely correct that after about 5 years, you really do need to replace the aids. I remember seeing ads for the Songbird (I think that was the name) and I wondered if they worked. This whole hearing aid business is quite a racket.